According to a new report from Asia, Samsung is thinking about equipping the Galaxy S7 with a heat pipe. A few months ago, in a time when Qualcomm had yet to unveil the full specifications of its upcoming Snapdragon 820 chipset, a rumor emerged claiming get that the SoC is plagued by overheating issues. The world's leading mobile chip manufacturer quickly addressed these rumors, claiming that the Snapdragon 820 runs within parameters. Now, since Qualcomm repeatedly denied that the Snapdragon 810 overheats despite a mountain of evidence suggesting otherwise, some remain skeptical regarding the chipmaker's claims. Back to the rumor at hand, a report from Asia claims that the upcoming Samsung Galaxy S7 might integrate a heat pipe. Samsung is allegedly experimenting with various heat pipe types and shapes, and the manufacturer is said to decide for or against this heat-dissipation solution by the end of the year. Note that the Samsung Galaxy S7 wouldn't be the first smartphone to integrate a heat pipe. The Sony Xperia Z5 Premium, the Xiaomi Mi Note Pro, and the OnePlus 2 all integrate a similar solution in an attempt to minimize the Snapdragon 810 overheating problems. According to unofficial information, the Samsung Galaxy S7 will come in two versions: one based on the Exynos 8890 chipset and one based on the Qualcomm Snapdragon 820. At this point, it should be mentioned that all smartphone chips throttle performance when dangerous temperature levels are reached and that a more effective heat dissipation system is likely to improve the overall performance of any mobile SoC. Nice , unleash the inner beast (Exynos8)! Nice , unleash the inner beast (Exynos8)! Nice , unleash the inner beast (Exynos9)! Nice , unleash the inner beast (Exynos10)! Nice , unleash the inner beast (Exynos11)! Nice , unleash the inner beast (Exynos12)! Nice , unleash the inner beast (Exynos13)! Can't wait for overheating and over throttling S7. This time Samsung's paid trolls/blogger will go defensive mode for sure. Fun times are coming. Looks like ARM processors are hitting the performance wall. Using heat pipes and heat sinks at 2ghz. People are finally going to rediscover what intel figured out you can't just keep upping clock to boost performance. Maybe people will start to appreciate the ipc increases with each generation of intel processors which go up like clock work. 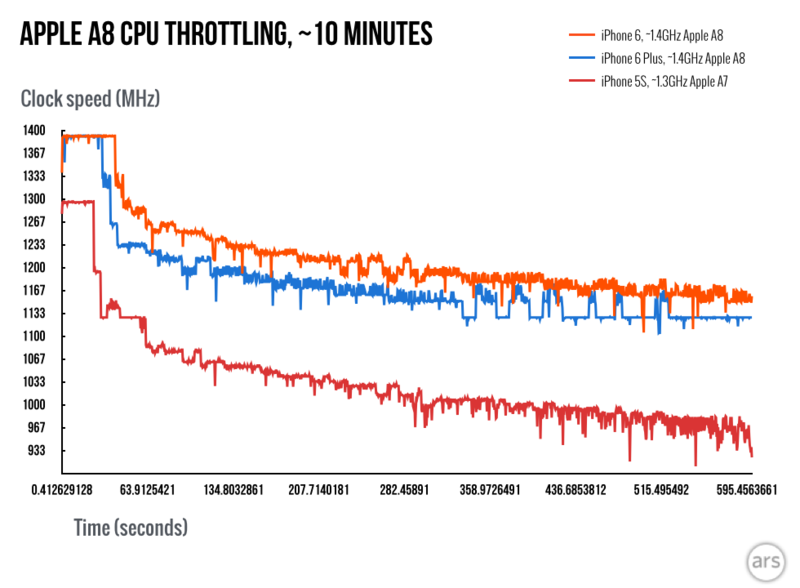 Apple's A Series Processors are custom built ARM processors that hardly throttle at all. The difference is that Apple custom built their chips from A6 onwards and focused on max single core power and efficiency due to the battery constraints all devices deal with. Yea, nice clockwork 5% or less gain per gen.
What beast? The s7 is going to be soooo MEH! Just watch and see. Its like a curse to samsung... first we hav already heard all the specs even b4 the phone was announced...but that's not even it... S....NO S2....wow S3...meh S4....yeah!!! S5...NO NO NO S6.... brilliant....best version since S2 S7...????? Its almost like after succeeding the previous year, there are covered by their success and then F up. One more thing is samsung made two versions of edge and flat phones for 2 screen sizes. 5.1 and 5.7.. That's 'S6,S6 edge' and 'Note5/S6 edge+' On 5.1 inch. The edge version sold more than the flat version On the 5.7 versions. The note 5 sold more than edge+ Not stup*d samsung want to make the flat version on 5.2 inch and edge version on 5.7 inch. Does this make sense? If I was using an S6 edge, and I want to upgrade to S7, I would have to go back to flat? For get S7 next year. Shift your attention to others. What are you blubbering about idi*t? Stfu already! it's no rant. but an opinnion. How did you made a conclusion? 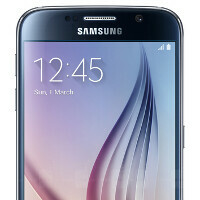 GS5 is the most advanced Galaxy S. GS6 - the most unadvanced iPhone copy. Great, anything to minimize throttling can only be a good thing. Sorry but iPhones do throttle, not as much as Android socs but that's also because they use a customized ARM soc with higher superscalars. So when they throttle in hz, the impact is less noticeable. But the difference is so day and night. Have you seen the charts? A Series processors (A8, A9) only throttle after many consecutive graphics benchmarks which artificially peg the SoC. These performance demands will basically never be met inside 99.9% of usage. Both the Exynos and 810 are commonly forced to throttle during even a first test, and always by the second. Taters app store has the most graphic intensive games and it plays super smooth with intense graphics. Look at AfterPulse or RR3. On top of that I play games and all my tasks with music playing in background while getting navigations. What is it that you do that's so much intensive that your SoC starts throttling nearly instantly vs iOS which you can't even notice for hours? just curious - what do you need your device to do that makes iOS seem like a toy? It's called low resolution. Anyone chipset can push super low resolution like a cat plays with a mouse. Some rare games do and gaming benchmarks certainly do. In fact, I believe the benchmarks state the resolution the benchmark us running at. Oh and I forgot to mention another huge advantage Apple has for games. Similar to how iPad apps are much more than blown up phone apps because that's where the money is and it's easy peasy to develop apps on one or two iPhones and iPads vs 50 million Android devices with different chipsets and different screens and batteries etc. Much easier to optimize an iPhone game and tune it. Either way, Apple hardware shouldn't get credit for it and it too often does from you Isheep. It's actually quite impressive that Android games run as well as they do considering the cards they have to play with. It's clear as night and day that It's mainly software and optimization but the Icult and media has somehow turned it into hardware prowess. Go figure.